Visitors flock to the iconic Angkor temple complex in their droves, but there is so much more the country has to offer for the intrepid traveller. 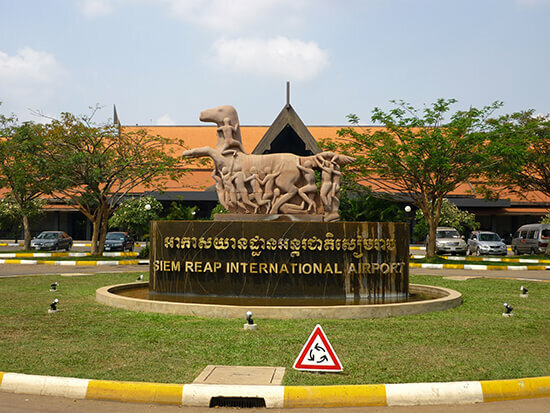 As Cambodia’s transport and infrastructure has developed, as have the areas and activities available. From hiking and mountain biking in the lush jungles at Chi Phat to spotting wildlife along the Mekong or island-hopping the southern shores: make sure you plan for enough time away from Siem Reap’s world-famous temples. With that in mind, spread over an epic 40-mile site, there is almost too much to see and take in at the Angkor complex. Temple fatigue is easy to succumb to. Organise your time carefully to ensure you see the main temples, as well as getting away from the crowds. Begin your day around 6am. We know, that’s too early for a holiday, but doing so will keep you ahead of the masses for most of the day. Cycling can also give you the freedom to explore at your own pace. However, with the heat and distance from centre of town, ensure you have adequate supplies (fluids, food) and shade from the midday heat. 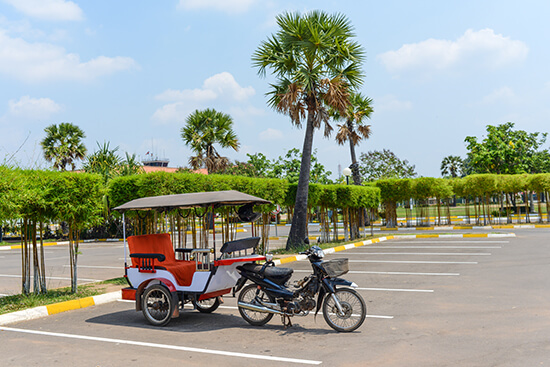 Alternatively, hiring a tuk-tuk or motor-taxi can help you travel between sites faster, and you’ll have a local guide on-hand for inside knowledge. Cambodia’s food is a fusion of French colonial influences and a heady mix of Southeast Asian flavours. 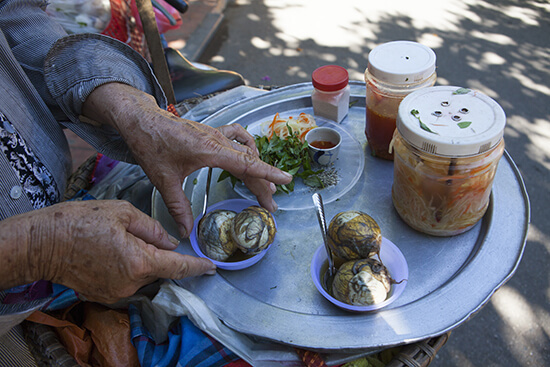 Street food comes in all shapes and sizes across Cambodia. You’ll find stacks of deep-fried sparrows, tarantulas and scorpions, as well as the infamous balut: boiled, fertilised duck egg. If you’re a keen foodie: dig in. But be careful to follow the standard health and safety rules of tucking into street food. As a vegan or vegetarian, some sights can be a bit shocking. Keep your wits about you. In my experience, Cambodia is not quite up to speed compared to some of the other traveller hotspots in Southeast Asia. Quite literally. Cambodians like to take things at their own pace. Land border crossings were especially slow. As were airport arrivals. And bus departures. Just travel in general, let’s say. Allow for plenty of ‘waiting’ time in your itinerary and keep a pack of playing cards stashed somewhere handy for when you’re at a loose end. These days, you’ll be heard press to experience Thailand’s most picturesque beaches without getting other tourists in the background of your pictures. But head down south to Cambodia’s coast and you’ll discover swathes of pristine sand and island-hopping opps galore. Make Sihanoukville, Kep or Koh Kong your main base, and catch a ride to one of the following spots. Koh Tang offers world-class diving for the active traveller, whereas Bamboo Island (known locally as Koh Ru) has more atmosphere for those travelling solo. 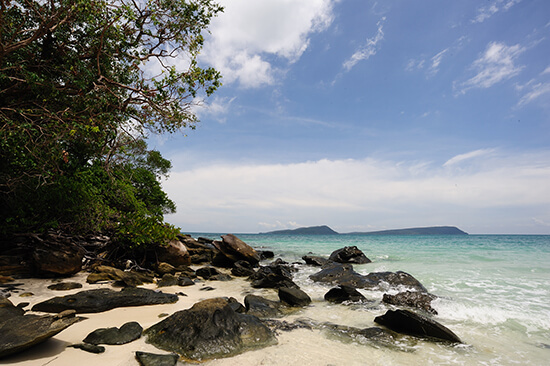 Koh Tonsay will offer nothing more than friendly villages, easy snorkelling, a hammock to swing in and a beer to chill with. As a previous French colony, you’ll see influences in everyday life, from architecture to food, and the language is no exception. 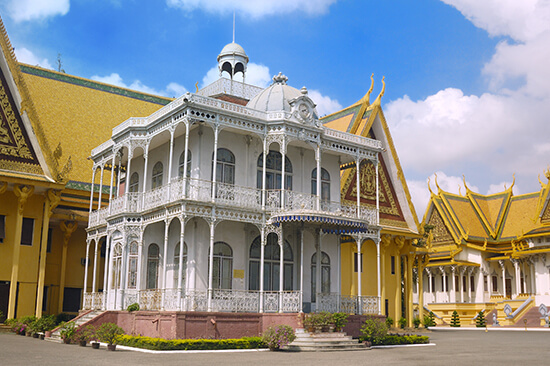 While the national language is Khmer, French is often spoken too. So if you’re struggling to communicate in Khmer or English, try speaking French instead. This is especially true with older generations, who would have learnt it while studying at school. Have we kick-started your wanderlust? Speak to one of our Travel Experts about booking your tailor-made holiday to Cambodia today.